Lift Chairs 4 Less now carries Lift Chair covers. August 30th, 2011– Watkinsville, GA – Lift Chairs 4 Less, an online retailer of lift chairs for the elderly and disabled, is proud to announce that they will now be carrying lift chair covers. 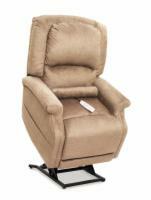 Lift Chairs 4 Less is an online retailer of lift chairs and mobility lifts for the elderly or disabled. For more information, please visit their website www.lift-chairs-4-less.com.